This thing is a survivor. The paint is faded, the safety bumpers are hideous, and I cannot tell if it’s been lowered or simply has blown out shock absorbers. It has humble four-lug wheels. There are scratches in the paint and much of the trim is cracked and dry-rotted from the sun. There is a certain appeal that comes from seeing an object which is worn from use, like an old tool. This car is a rolling time capsule of the 1970s, from the color to the choice of interior fabrics. At 37 years old, it looks as though it could still be a daily driver. While the seventies are not remembered as a decade of good design in anything, I can see the need to preserve a few examples for future generations to look back on. 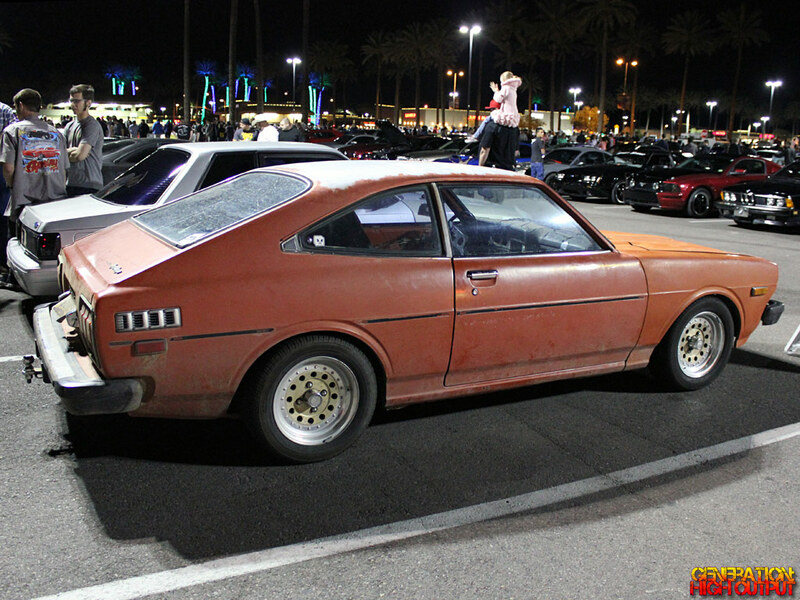 A car like this just wouldn’t look right with a House of Kolor paint job, smoothed bumpers, and a big brake kit behind some 20″ forged wheels. 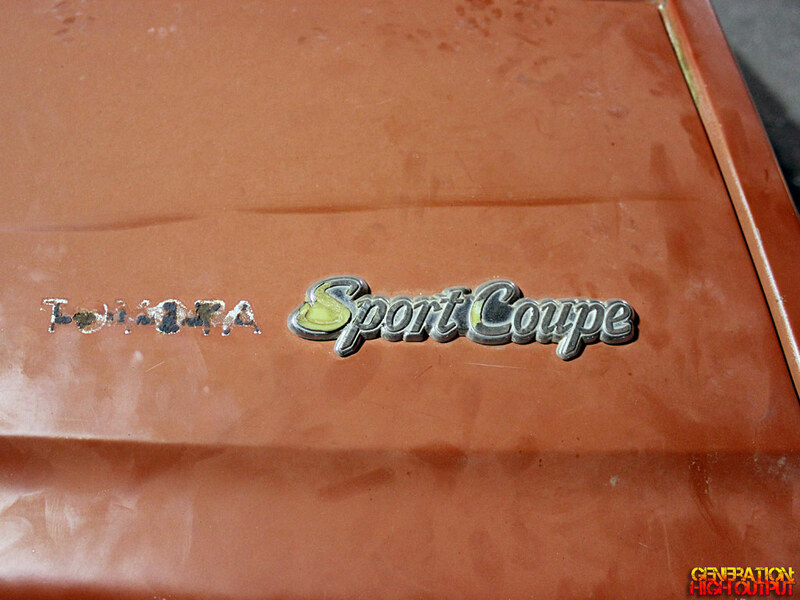 For better or for worse, this is what a car from the seventies really looks like – and I think that is worth preserving. 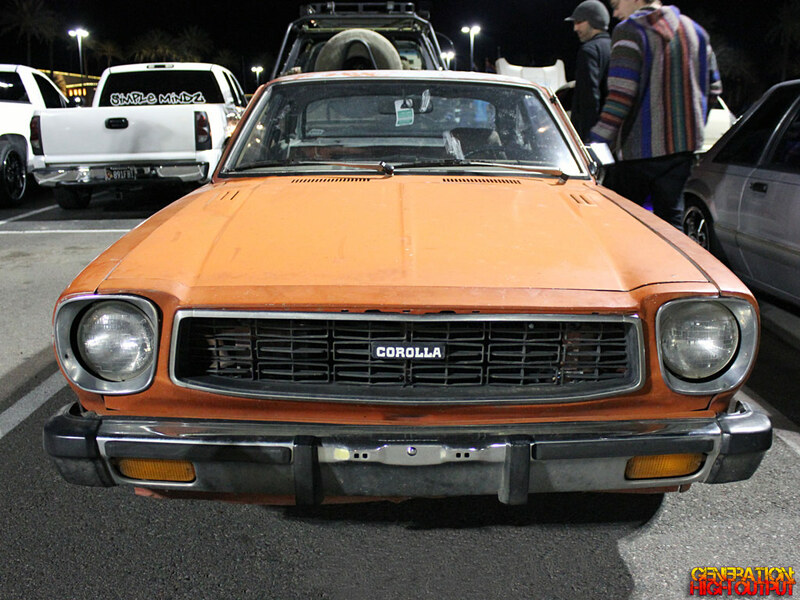 This entry was posted in Pavilions and tagged 1970's, corolla sr5, Hatchback, patina, sports car, Toyota by Trevor Freeman. Bookmark the permalink.